Friday night at 7.30 for 8.00 start is the Dying to Dance event and ritual for those wanting to dance in a sacred space to local global fusion dance band, Ali Baba. Black and White theme. Tickets @ Door $15. Saturday and Sunday is the ‘A Dying Art’ exhibition 12-6pm by Curators Nadine Abensur, Dev Lengjel and Lelli Brown, featuring a host of professional artists showing their decorated eco cardboard coffin lids, shrines, shrouds and urns. This is a great afternoon event for parents to bring children along to, and also for the youth of our shire so affected by the death of their peers, to stimulate discussion and broaden our possibilities. Saturday night is the big opening with MC’s Mandy Nolan & Zenith hosting a wild event not to be missed. Here you can view the exhibition and also have the opportunity to bid in the a short auction with Robert Bleakley, for wonderful decorated lids by artists James Guppy, John Dahlsen, and Anne Leon, each in their own unique and beautiful style. Mandy’s lid will be up for raffle, so everyone has a chance to win one by our favourite entertainer. A bar and food by Open table are available as well as incredulous entertainment by Lady La Quanda and Mae Wilde. All over early so you can go on to other events. Tickets @ Door. Sunday sees the annual Day of the Dead Ceremony of Remembrance 3-6pm in Heritage Park to gently honour loved ones who have died. Community artist Sam Collyer will be on hand to assist people to make their mementos for the shrine. A free event, everyone is welcome. We wish Zenith and her team all the best for this event and thank her for continuing to pioneer and educate our community on the subject of death. It’s very liberating. 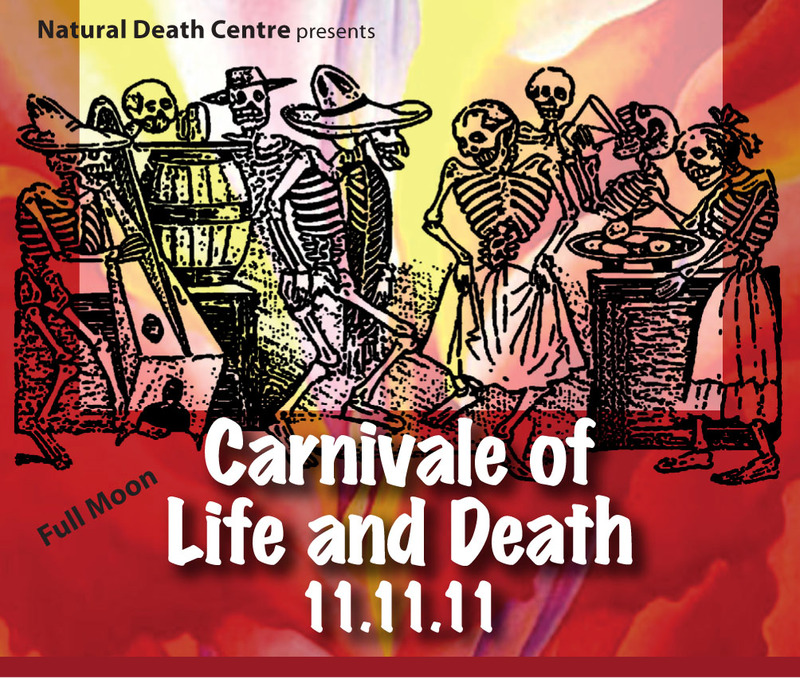 For more detailed information contact naturaldeathcentre.org.au or 0427 924 310. This entry was posted in Community, Dance, Lifestyle, People, Spirituality and tagged Alternative Health, Artist, Australia, Byron Bay, Carnival of Life and Death, Celebration, Death and Dying, Lifestyle, Mullumbimby, New South Wales by Very Byron. Bookmark the permalink. They love cultural events like this one. About a two years ago they ran a beautiful piece about the funeral of a local institution in Castlemaine, Victoria. His coffin was wheeled to the cemetery on a pushbike, in honour of the bloke’s favoured form of transport. As for COLD? Not sure about that acronym!